The University Office of the President (UCOP) said it is very proud of the recognition. 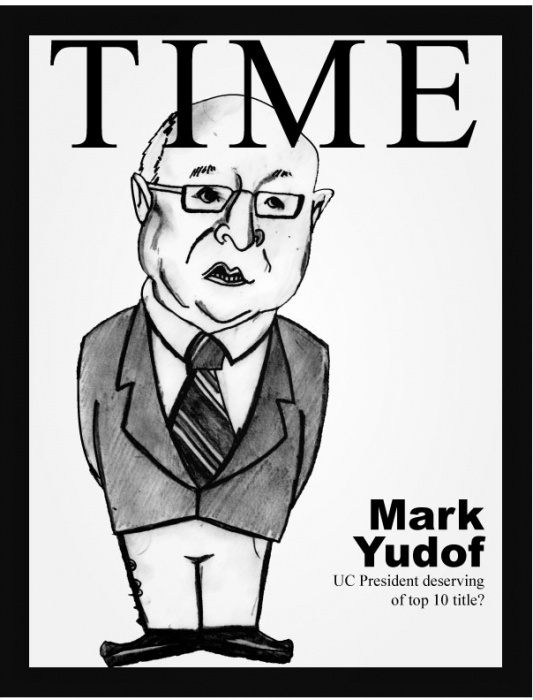 UCSC community studies lecturer Mike Rotkin commented that Yudof’s award did not come as a surprise. Yudof began his career in education as a law professor at the University of Texas before he became the dean of the law school. According to the Time article, during his 26 years of employment at the University of Texas, he supported tuition deregulation that gave campuses the power to set fees. In 1997, he became the president of the University of Minnesota, where he secured funding for research and renovated the campus. In 2008, he was named the 19th president of the UC system, and in 2009 he proposed that student fees be increased by 32.5 percent to make up for a loss of state funds. That fee increase was passed by the UC Regents in late November. By hiking fees, Yudof plans to finance the Blue and Gold Program, which exempts California residents who make less than $70,000 a year from paying fees. According to UCOP, the UC currently provides grant and scholarship assistance averaging $10,300 per student to 54 percent of the 230,000 UC undergraduates. UC Santa Barbara Associate Dean of Social Sciences Leila J. Rupp sent a written response to Time regarding the nomination. According to a database kept by the University of California, which allows users to search the salary of any employee of the UC system, Yudof earned a gross salary of $326,791 in 2008. Bob Samuels, the president of the University Council American Federation of Teachers (UC-AFT) and a lecturer at UC Los Angeles, commented on Time’s award for Yudof. According to Samuels’ blog at http://changinguniversities.blogspot.com, over 3,643 employees of the UC system earn more than $200,000 a year. Since 2006, 1,200 more employees were added to this number. However, according to UCOP, those who make over $240,000 took a 10 percent pay cut this year. Samuels thinks Yudof’s choice to raise student fees while administrators are making hundreds of thousands of dollars is a mistake. “UC doesn’t need to raise student fees again,” Samuels said. Second-year Ian Steinman agrees that Yudof should not be receiving Time’s recognition. Steinman also said that he thinks it is time for students to take action.